great but we still stuffed ourselves to make sure that we survive without any additional food intake for the day. 10:45amCrossed Newasa, looks like a pretty nondescript town with a single highway passing through the city. 11:25am We cross Ahmednagar, go towards SH 222. The drives through the towns are always very painful and slow you down completely. As we drive along SH 222, the landscape changes completely, it is almost a drive to nowhere. The road is narrow, just about one and half lane and overtaking is extremely difficult, fortunately there is very little traffic so one can make quick progress. 11:55AM We cross a small town called Bhalwani. This whole stretch of road is very interesting, the land around it looks absolutely barren, but there are small towns all around. Each town has a school. The road is fun to drive, almost like a hill drive but without hair-pins or incline. The road has sufficient twists and turns. The only problem is that buses in this area seem to like to drive almost in the middle of the road. Once you are stuck behind a bus, it is a while before you can over take him. 12:51pm We join Nahik-Pune highway going towards Pune. 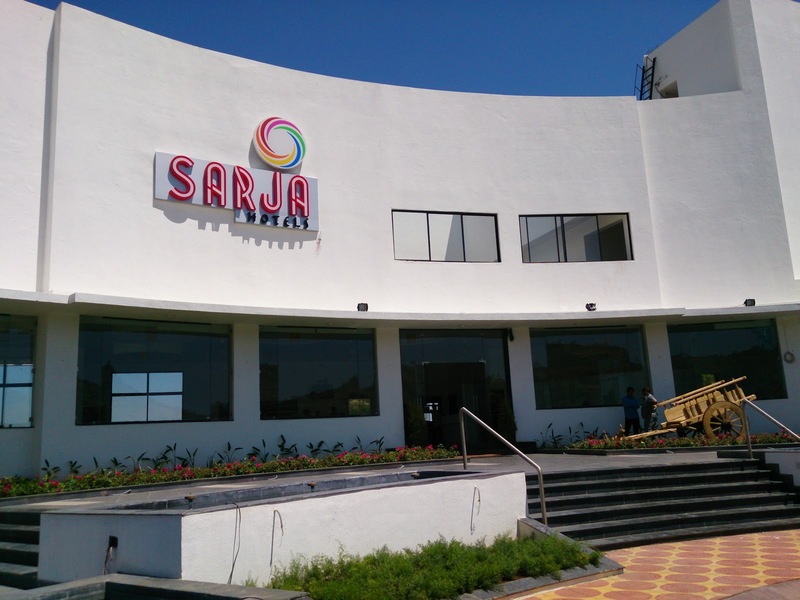 Sarja Hotels, the hotel looked brand new and toilets etc were properly maintained. 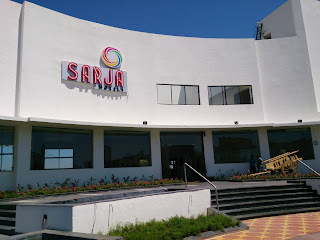 15 minutes drive away from this hotel is a town called Manchar, this is where one needs to take a right turn to go to Bhimshankar Jyotirling. One needs to keep an eye for this, because it is very easy to miss this. 1:10pm We reach Manchar and take the road towards Bhimshankar Jyotirling temple. The road is called Manchar Bhimshankar Road, it is a very narrow, village kind of road but atleast it is tarred. When we went there, there was no traffic so life was easy. But on the days when there is lot more traffic, I can see this would be very difficult to navigate. 4:00pm We continue on this road and reach the Bhimshankar temple at around 4pm. At places the road is dangerous with place for only one vehicle and ditches on both sides of road. We also found small settlements around this road. There is a nice parking area just before the temple. One should be careful to not buy prasad etc. too early. This place does not have any good shoe stand. So your prasad vendor also doubles up as your shoe stand. Particularly in sunny days, buy the prasad from the last vendor so that you don't have to walk barefoot in hot road. The temple itself was very hassle free. Unlike many other places, not too many pujari-types hassling you. 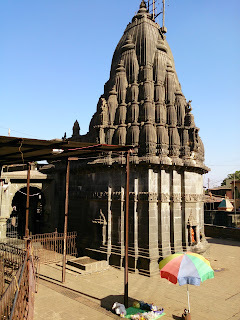 We were in and out of temple in less than half and hour and were on our way back enroute to Nashik. We had to endure 3 hours of same narrow road before we land up on SH50. 6:25pm Reached Manchar and turned left to go to Nashik. 7:45pm We reach Vithal Kamath on SH50. By this time it was looking very likely that by the time we check-into the hotel there won't be any dinner left. We we decide to catch something to eat here. The food was reasonable and rest rooms were reasonable. Nothing to write home about but not unusable either. 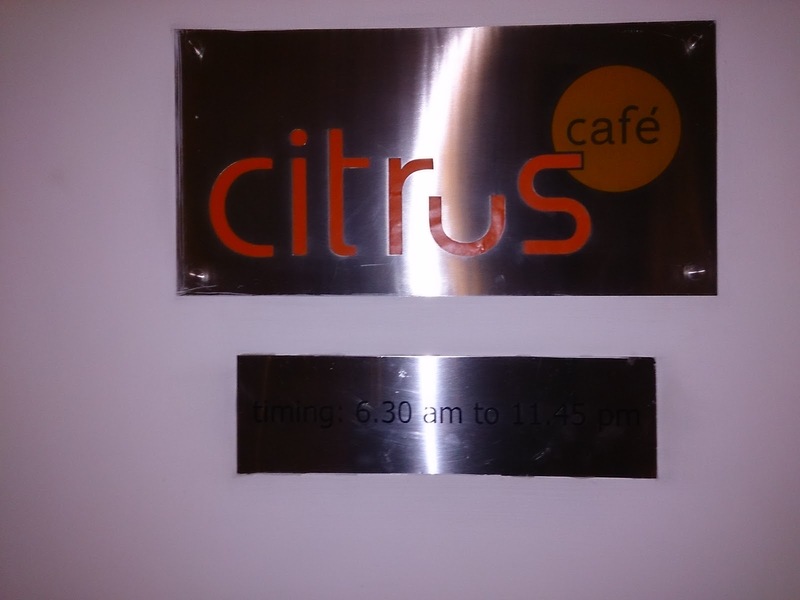 10:30pm Finally we reach Hotel Ibis in Nashik and check-in. The place is ok, has parking in open. Here is my review of the hotel on TripAdvisor.